Google Fiber is reportedly hoping to rely on wireless technology instead of fiber-optic cables in about 12 major cities, including Los Angeles, Chicago and Dallas, where it has planned faster internet service. Google's parent company Alphabet has also suspended Google Fiber gigabit speed projects in San Jose, Calif., and Portland, Ore., according to unnamed sources in a Wall Street Journal report. Google Fiber officials could not be reached to comment on the report. The report also said that Google Fiber is also hoping to boost its high-speed internet expansion by leasing existing fiber or asking cities or power companies to build the networks, instead of Google Fiber building its own. If Google Fiber plans to rely widely on wireless technology to offer fast internet, it would be a sound move that could improve its competitive edge against traditional internet service providers. So far, Google Fiber has reached six metro areas, starting first in the Kansas City area in late 2012. The process has cost hundreds of millions of dollars, analysts estimated, owing to the expensive process of digging up streets and properties in front of homes and businesses to lay fiber. At its inception, many analysts thought Alphabet only created Google Fiber to push more fast internet expansion by traditional providers like Comcast, AT&T and Verizon. Google Fiber has not said how many customers it has in Kansas City or elsewhere. Its Google Fiber official blog continues to tout recent improvements in its service, including the most recent blog from July 12 indicating three new small business internet plans, including one for $250 a month for 1 Gbps upload and download speeds with no data caps. Small businesses in Charlotte, N.C.; Kansas City; Provo, Utah; Austin, Texas, and Nashville are eligible for the three plans. The likelihood that Google Fiber would rely on wireless instead of fiber-optic cable where possible should come as no surprise, analysts said. 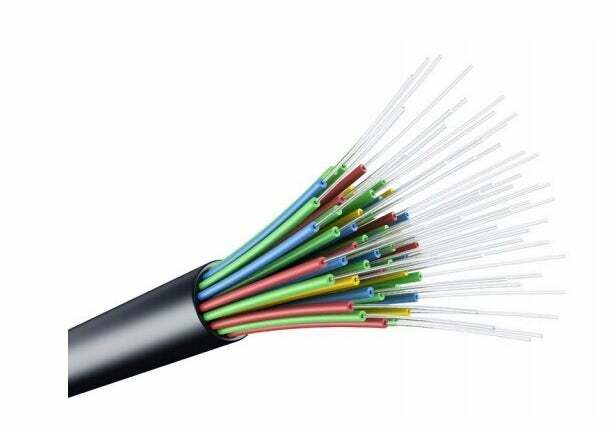 Other ISPs have either rolled out or have plans to deploy smaller cellular equipment for shorter distances to connect homes and businesses to the nearest high-speed fiber optic cable. Sometimes that wireless link could be a short distance of less than 100 feet from a building to a street or a longer distance of a few blocks. There are a wide variety of so-called “small cell” outdoor devices already on the market, some of them called “picocells” that can be as small as a shoebox and light enough to hang on a light pole, utility pole or even on a bus stop shelter. Kagan said AT&T Gigapower is leading Google Fiber in citywide fast internet fiber rollouts, but wireless could help Google pick up the pace and match AT&T. Speed of deployment with wireless could be the vital ingredient to keep Google Fiber competitive. “Wireless has a lot of advantages, including the speed at which it can be installed at an individual home, office or apartment building versus having to do a cable drop to each premise,” said Gartner analyst Bill Menezes. “That means fewer truck rolls, and the service provider can ship the customer premise receiver with self-installation software, instead of doing an on-site install, cutting the [capital and operating expenses],” Menezes added. However, Menezes said Google’s testing of the effectiveness and speed of wireless technology will be crucial. If Google decides to rely on wireless technology that uses a higher frequency, it will transit over a short distance and have poor in-building penetration, he said. In turn, that could mean more outdoor antennas, possibly one affixed to every premise that Google Fiber would want to serve. Google and other companies are also testing the use of unlicensed spectrum. “That effort seems to be the linchpin, because if Google Fiber had to pay to acquire large amounts of spectrum in licensed frequencies, that would seem to eat up a lot of the capex savings of going wireless versus installing fiber to the home,” Mendez said. In April, Google began testing wireless connections in Kansas City in the 3.5 GHz spectrum, which is called the “innovation band” by federal officials. That test is expected to last up to 18 months. A previous attempt, in the 1990s, to offer “wireless cable” under a plan called a Multichannel Multipoint Distribution Service wasn’t successful, as was the rollout of WiMax, a technology that relies partly on microwave transmissions and was fostered primarily by Sprint and Clearwire in the U.S. Sprint killed the WiMax network in early 2016. “The enabling wireless technology has improved significantly since those failures, but we’re still waiting for someone to do this successfully at a large scale in the marketplace,” Menezes said. This story, "A Google Fiber move to wireless could keep it competitive " was originally published by Computerworld.